If you are not going to prepare your people to escape The Judgment, then the scriptures teach us, “Woe to the shepherd who’s feeding himself, and not the flock”: Don’t you think that the people want to know what is going on around them? Don’t you think they want to lift their head up from the “slop trough,” and understand what God is doing to America and the world? Why is the economy failing? Why are the people confused? Why is the government unable to solve its economic dilemma? Why are “the clouds of war” forming? Why are there wars, and rumors of wars? Why is there drought in 29 states? Why is pestilence coming? Why are earthquakes on the horizon? Don’t you want to know? Well, “Son of Man,” God said, “I’m setting you as a watchman over Israel …”: My Father, Elijah Muhammad, was a “watchman” over this condition, this world, this people, this Time! And he has prepared me the same: To be a “watchman” over you! My dear and beloved brothers and sisters, in Part 9 of this Lecture Series on “The Time and What Must Be Done,” I mentioned exegesis given by the Honorable Elijah Muhammad on four Parables of Jesus that are, literally, about “The Black Man and Woman of America and the Western Hemisphere” (“The Lost Sheep,” “The Prodigal Son,” “The Stone that The Builders Rejected” and “The Wicked Husbandmen”). If you remember in the parable of “The Wicked Husbandmen” found in the Book of Matthew, Chapter 21, and the Book of Luke, Chapter 20, it is talking about a “vineyard.” After the owner of the vineyard let it out in the hands of some wicked husbandmen, he would send people into the vineyard to check on the fruit of that vineyard. And if you recall, the definition of a “husband/husbandman” is a master of a house; or, a tiller and a cultivator of the soil. Well, when God puts a “ruler” over the vineyard—or, in clearer terms, when He made the Caucasian people a “ruler/vicegerent” over the peoples and societies of the Earth, and their institutions: God sent prophets into the world. And The Mission of those prophets was to see “What was the fruit of your work in His Vineyard”: Did you cultivate the people? Did you bring them into their humanity, and expose to them their latent (“hidden,” “dormant,” “unexpressed”) Divinity? Or, did you kill the prophets? Imprison them? Beat them? Lie on them? And destroy the righteousness of their work? Well, here we are—“The Prophets” have come, and some you beat, some you killed, some you cast into prison. Did you know that we, the Black people of America in particular, and those in the Western Hemisphere—who are the victims of the worst slavery in the annals of history, who were brought into the Western Hemisphere in this crime against humanity called “The International and Trans-Atlantic Slave Trade”: We are The Heirs of that Promise! We were seized! We were beaten! We were imprisoned! And, we were put to death “mentally,” and also put to death physically! So to my dear Christian and Muslim Family: Have we deviated? 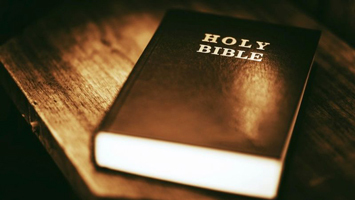 Dear Children of Israel: Have we deviated? Dear Family of Abraham: Have we deviated? Are we showing that we are “grateful to God” for the prophets that He gave, one after another, to this world? No, you are not “grateful”. … You have taken this people, The Black People of America and the Western Hemisphere, and stripped us of our connection to Africa, to our own religion and God, and to our own culture and name. You have had sway over the Earth and its people. You have had power to set up your institutions of governance, your institutions of religion, your institutions of jurisprudence, your institutions of education and your institutions of economics. This is your world! In the Bible, the Book of Daniel and the Book of Revelation, the scriptures mention a “4th Beast,” which is “more terrible than any other”—this is referring to America! And another Beast is described as having “the ribs of a man in his mouth.”… Well, we are that people that you have “torn to pieces”; and because we are “The Heirs” of that Promise: As you have destroyed us, The God Who is Present is now destroying you. Today, The God of Our Salvation has appeared, and there is no “power” that you have that can stop Him from Redeeming The Black Man and Woman of America and the Western Hemisphere, and fulfilling His Promise to us. And what is that “Promise”? Again, it is The Promise that was given to Moses, that God was going to take “The Children of Israel” and separate them from Pharaoh and the Egyptian people of that time; also, God was going to send them into a land; and that He would give them a land “flowing with milk and honey.” That same Promise is extended to The Black Man and Woman of America: He Promises us land. The scriptures are clear: A nation is going to be given “The Kingdom,” and that “nation” is a nation carved out by God for Himself of The Black Man and Woman of America. God has asked you: “Let them go,” because God has something for them to do for His Glory. If you let them go, The Calamities that you are suffering will decrease. But if, as you are doing now, you plan to fight against God, and plan to deceive the Black man and woman that they may go down into hell with you, then God will still separate them because He has The Power to do so—and you will go to hell by yourself. Question: How many generations have passed since Jesus preached those words? It has been 2,000 years, so how many “generations” have come and gone since those words were uttered? Surely this prophecy could not have been talking about “the time of Jesus The Prophet,” that “this generation shall not pass till all these things are fulfilled.” Well, when you check what a “generation” is, according to the dictionary it is a span of “30 years”; and if we calculate how many times “30” goes into “2,000” the answer is “66.666” times. Does that number “ring a bell”? It is The Number of The Beast—and The Hour of His Destruction has come. So I can say in The Name of “The Great Mahdi,” Master Fard Muhammad, and in The Name of His Christ, “The Great Messiah,” the Honorable Elijah Muhammad: This generation shall not pass until every word that Jesus of 2,000 years ago spoke, and every word that Elijah Muhammad has spoken to us, shall be fulfilled. My dear brothers and sisters, since we are on the subjects of “The Time and What Must Be Done” and “The Judgment,” we can study what some of the signs are by reading two monumental books by the Honorable Elijah Muhammad that you must have in your library: Message To The Blackman in America and The Fall of America. Please go to store.finalcall.com and order them. In the Book of Luke, Chapter 21, verses 25-26 teach: “There shall be signs in the sun and in the moon and in the stars; and upon the earth, distress of nations with perplexity. The sea and waves roaring, and men’s hearts failing them for fear and for looking after those things which are coming on the Earth for The Powers of Heaven shall be shaken.” In Message To The Blackman in America on page 292, in the Chapter titled “The Judgment,” the Honorable Elijah Muhammad says that “the sun,” “the moon” and “the stars” are really causing great consternation (feelings of anxiety or dismay, terror or fright, typically at something unexpected) on the Earth. From published reports we can hear of great “sun storms” (i.e. “solar flares”), where The Sun is belching out fire from 10,000-30,000 miles from its surface, burning the Earth and interfering with your communications. And yes, the sea and the waves are “roaring,” for the Honorable Elijah Muhammad is talking about “the seas” and what is happening; and the effect that The Moon is having on the waters. It will get worse. And when the scripture mentions “men’s hearts failing them for fear”: What is the “No. 1 killer” of people in America? I have read that it is “heart failure.” What are you “afraid” of, America? Look up above your head: Look at the storms! Look at the tornadoes! Look at the hurricanes! Look at the water! Look at the fire! Look at the wind! Look at freezing cold! God is after us. Men’s hearts are failing them with fear for what they see coming upon the Earth. And if you’ll read, or look at the news, “Are the nations in distress?” My God! There are 17 nations in Europe that are now taking austerity measures to address their debt crisis—they are “in distress” because their economies are collapsing! I even read in a news article that France’s Labor Minister, Michel Sapin, was telling the French people that the country is, quote, “totally bankrupt.” And there are scholars of economics in America that are warning that America is nearly “completely bankrupt,” because when the “Gross Domestic Product” (GDP) is under the “debt ceiling,” here you have over $16 trillion in debt that is swamping, drowning the GDP. Those are not “good” signs! Those are the signs of distress and affliction. The nations of the Earth are in distress—with perplexity, which means “confusion.” Are the heads of our government confused? You mean you can’t sit down in a room and agree on “a way forward” to solve the problems of the American people? Yes. … The confusion that you wanted to produce, and have produced, among us: Now God is taking it off of us, and putting it on you. These are the signs of the end. 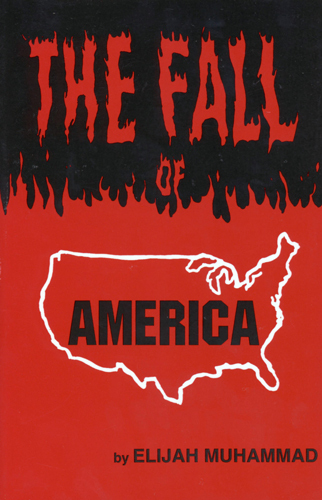 Study The Fall of America, Chapter 35, “America Surrounded with The Judgment of Allah” (page 154) and Chapter 36, “Four Great Judgments of America” (page 157). What do you mean “pushing the people into the center of the country”? He told me to tell you, and he wrote it himself, that the coastlines—all of them—will be destroyed. And some of your own scientists are talking about “global warming” and the “melting of the glaciers”: This is not an “accident”! That’s how disrespectful Allah is of The Wicked: He will take something as small as a “gnat” and multiply it into the millions, and drive you to destruction! He does not have to “go to work,” as in get a “block of iron” or “a mountain,” and throw it on them! He just causes that which is with you to turn against you! “The forces of nature,” he continues, “are great weapons as we see them in play upon America. Storms after storms of snow and ice are rolling in from the North and are pushing great drifts that are just covering up everything.” Well, the Holy Qur’an says that Allah (God) destroyed people with just cold wind. He froze them. … No wonder in the 2nd Chapter of the Book of Psalms God says that He will “sit in the heavens, and laugh at those” who are trying to fight against Him. And I, too, laugh: Do you think that you can “get away” with fighting Allah (God)? What will be your course of action? Black Man and Woman: What should you do? Get busy! Let’s unite! Let us stop this wanton killing of each other! 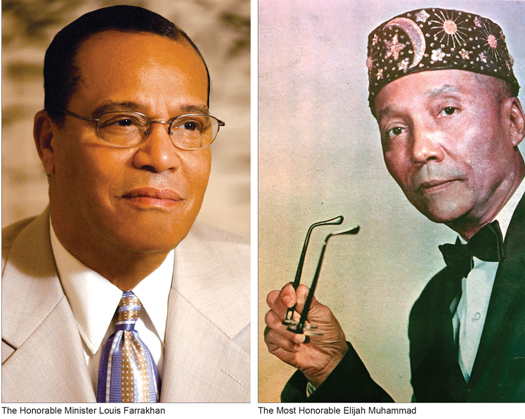 The learned of our people; the professional people: Why don’t you look at The Program of The Honorable Elijah Muhammad, and unite with that Program to put the hands of our people to work, and the feet of our people moving in a free direction? You have the knowledge—but you’re using it in the storehouse of the wisdom of your former slave masters and their children. Black man and woman of intelligence: Let’s unite and do something for self! But if you continue to rebel, the Honorable Elijah Muhammad warns of a heavy chastisement that you will be under, that will last one whole year. It’s written in the Bible, in the Book of Revelation, Chapter 9, verses 1-6 that in that year “you will seek death”—and you will not find it, for “death will flee from you.” It’s on the way. … So come on! “Buckle on your boots and shoes” and let’s go to work and do something for ourselves!